The Coast Guard periodically publishes important notices for the boating public in publications called "Boating Safety Circulars." 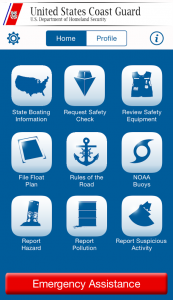 Content includes advisories about newly identified boating hazards, information on boat defects and recalls, rules and regulations for recreational boats, and other news and information of interest to the boating community. The publications are a valuable source of information on established or proposed regulations and standards as well as other safety topics. Safety Circulars are grouped together and identified by issue number. If you have any questions about a Circular, please refer to the issue number assigned to it. You must have Adobe Acrobat Reader installed on your computer to read PDF files. If you do not have Adobe Acrobat Reader, click to download and install it free. My Boat is Defective or is it? Is a gasoline outboard kicker too much horsepower?